Fire up your car show with our new Hot Rod Acrylic Trophy! 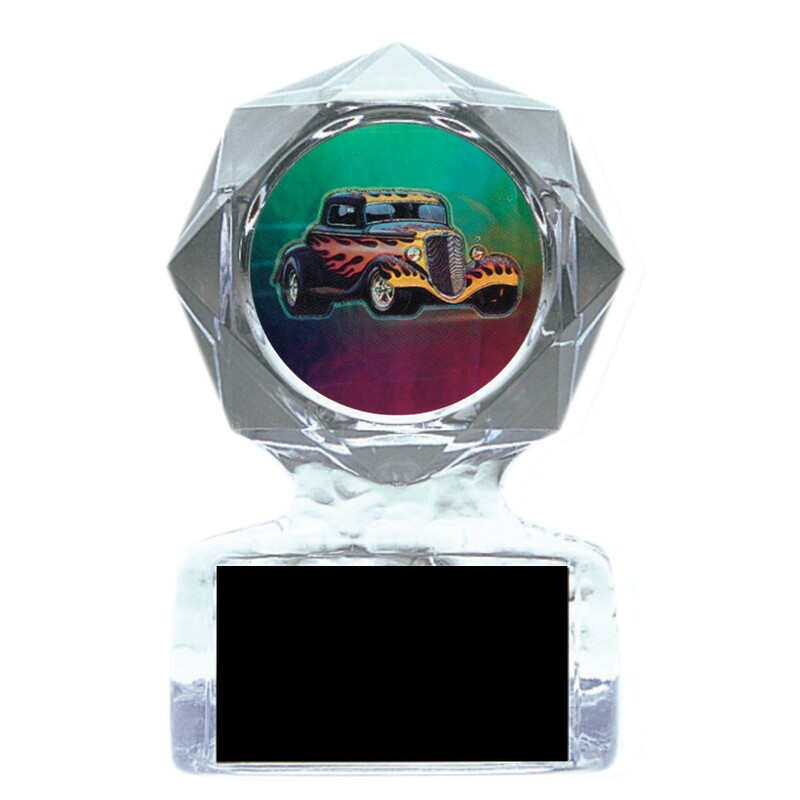 This award features a 2 inch full-color insert of a custom hot-rod racer. Available in two sizes, this award will be the hit of your rally!